With Affiliate Programs extension you will get the best experience in creating and managing your affiliate programs, as all the job with tracking codes installation will be done for you. Integrate the most popular affiliate programs into your Magento store. Take advantage of Pay Per Sale & Pay Per Lead affiliate program types. Enable two or more affiliate programs on the same or multiple Magento store views. Affiliate Programs Magento Plugin is an affiliate marketing tool that will help you integrate the most popular affiliate programs, including Affiliate by Conversant, Rakuten Linkshare, and ShareASale, into your online store. The Affiliate Magento Extension we offer supports both PPS (Pay Per Sale) and PPL (Pay Per Lead) program types. It is also possible to enable two or more affiliate programs at the same time which lets you fully customize your affiliate strategy. Integrates the most popular affiliate programs and marketing platforms into your Magento store. Allows to add custom affiliate tracking codes using "custom" affiliate program functionality. Pay Per Sale (PPS) – affiliate pixel / postback is fired on conversion. Affiliate tracking code is installed on the Magento checkout success page ("thank you page") and executed each time a new order is placed. Use this functionality on a production or development environment to test new Magento affiliate tracking codes. Affiliate Programs and Data Feed Generator Extensions are available for purchase as part of the Magento Affiliate Pro Package. This Magento package is the most complete affiliate solution for any Magento store owner. Get Data Feed Generator Magento plugin from Plumrocket for easy generation of product data feeds for each supported affiliate program. Compatible with Magento Data Feed Generator extension or easy generation of product data feeds for each supported affiliate program. Affiliate Extension is also available for purchase as part of Magento Affiliate Pro Package. Improved creation of custom tracking pixels with use of "order id", "customer email", "customer name", "delivery country"
Added Commision Junction Affiliate Network support. Added LinkShare Affiliate Network support. Added Google Analytics Ecommerce Tracking support. Added ShareASale Affiliate Network support. Added HasOffers Affiliate Network support. 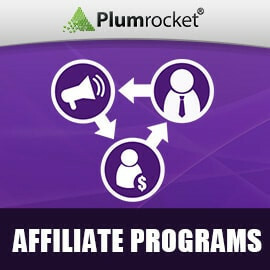 Added ability to create Custom Affiliate Programs. Created Affiliate Programs Magento Extension. Added AvantLink Affiliate Network support.